We’re moving up in the world and have recently gotten our own domain! www.bilenesmble.co.uk. Please update your bookmarks and feed readers. BiLE gig at Birmingham Museum and Art Gallery, Artsfest. We had so much fun playing at BMAG and what a fantastic audience! Thank you Artsfest. BiLE has been selected to play at famous Birmingham festival Artsfest. We will be playing at the Birmingham Museum & Art Gallery in the Round Room Gallery Saturday the 10th of September at 15.30. BiLE will be performing Julien Guillamat‘s Back to Front an electroacoustic cello sonata and Stucknote by Scot Gresham-Lancaster of our favourite laptop band: The Hub. As usual, there’ll be visuals from Antonio Roberts. The piece XYZ written for BiLE by member Shelly Knotts has been festured in a new e-zine, CNCPTN by Simon Kinch. The e-zine is available online at: http://cncptn.com/ and is also available as a downloadable pdf. The e-zine aims to showcase music from young composers with a strong conceptual or design element. BiLE have performed XYZ in Oslo, Venice and Birmingham and it was also recently performed at ton:art 2011 by Benoit and the Mandelbrots. 10 works by 10 young composers and artists; where each piece has been conceived not only with the final sonic result in mind, but also to express or represent some pre-conceived concept or design. 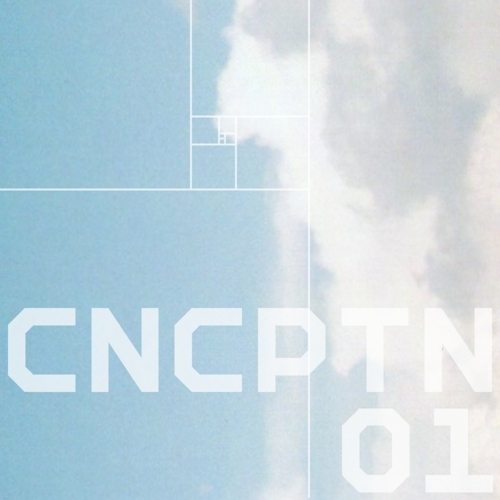 CNCPTN is a new bi-monthly e-zine focusing on the concepts and designs behind the work by selected young composers and artists. In terms of conceptual originality and visualisation (Antonio Roberts) their performance, in three movements, was pushing the envelope into event horizons. Read the full review over at brumlive.com. The highly anticipated BiLE (Birmingham Laptop Ensemble) swiftly followed, warping the sounds of pots and pans and cowbells through their laptops and handset gadgets, developing a new, tension-building weapon to entice listeners through harshness and hypnosis. Back to Front (Electroacoustic Sonata for Cello). I just got round to consolidating BiLE’s aims in starting a laptop ensemble into something coherent… Thoughts, comments, criticisms welcome! – Democratic approach: BiLE rejects the notion of an autocratic ensemble with a top down approach in which the roles of composer/programmer, leader, performer are discrete and hierarchical. BiLE instead supports the approach of integration, collaboration and the blurring of the distinctions between, composer-performer-collaborator in a democratic non-authoritarian ensemble. – Collaboration: BiLE supports the production of scores and collaborative compositions where the framework is such that each composer-performer is free to interpret the sound production elements of the piece. Thereby allowing each member to contribute their ideas and imagination to every performance. – Musicality: BiLE asserts that Musicality should be at the forefront of the priorities of any music making ensemble. Therefore technological concerns are subservient to musical intentions and musicality is central to the criteria set out to define the ensemble. – Inclusivity: BiLE is an inclusive ensemble with criteria for membership based on similar musical aesthetics and a high quality and complementary musical output rather than specific technical skills. This makes BiLE a creatively rather than technically focussed ensemble. BiLE members should be experienced in Composition and/or performance and dedicated to ensuring all creative output is of high quality. – Cross-Platform: BiLE’s commitment to inclusiveness necessitates the ensemble to be cross-platform. Any ensemble member is free to use the software they feel is most suited to the performance and their technical skill level. BiLE has developed their own networking tools in order to facilitate this cross-platform approach. – Open Support Forum: BiLE members should support each other in the creation of quality musical performances and in the production of new works through technical and musical guidance shared with other members of the ensemble. The rehearsals should be an open forum for ideas and discussion on music, technology, performance, improvisation and other matters relating to the ensemble. – Progressive Experimentalism: BiLE should be a progressive ensemble priotritising experimentalism over historicism. BiLE should consider and utilisie the possibilities available by virtue of being a networked laptop ensemble and should not rely on old musical forms and structures to develop their creative output. Exploring the new forms and creativity that can be developed by the use of this technology is desirable so long as an emphasis on musicality is maintained.